No purchase necessary. Void where prohibited. Entrants must be 18 years or older. Each entry must be individually submitted using the Official Entry Form at AcousticGuitar.com and received by 10/31/18; facsimiles may not be substituted. Prize drawing will be made on or around 11/07/18. The grand prizes will be fulfilled by Eastman Music Company within 60 days of receipt of winner’s written acceptance. Employees of Acoustic Guitar magazine, and Eastman Music Company are not eligible to win. Odds of winning depend on the number of entries received. Limit one official entry per person, with unlimited additional bonus entries per referral or social action. Acoustic Guitar magazine reserves the right to notify the winner by mail or by e-mail and to identify the winner in the magazine as well as the Acoustic Guitar website and Facebook page. International entrants, please note: If the winner is resident outside the United States, he or she is responsible for all shipping, customs, and tax costs. In the event that an international winner is unwilling or unable to cover these costs, he or she will forfeit the prize and a new winner will be selected at random. 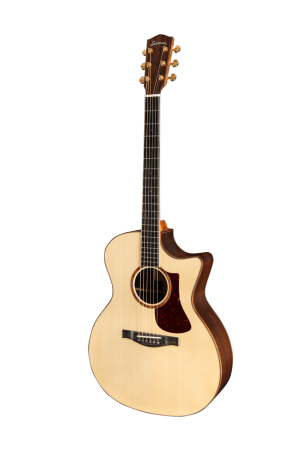 For the name of the prize winner, send a self-addressed, stamped envelope to Eastman Music Company 2018 Giveaway, c/o Acoustic Guitar magazine, 501 Canal Blvd, Suite J, Richmond, CA 94804. Taxes are the responsibility of the winner. No prize substitutions are permitted.